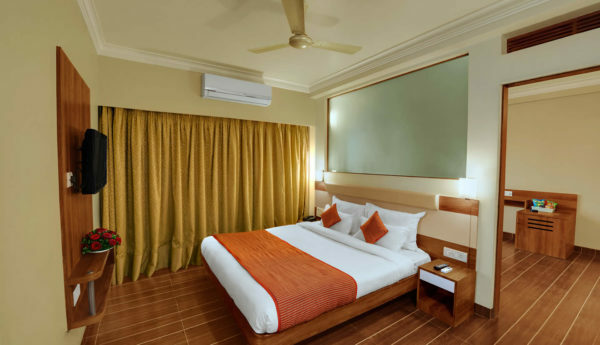 At Daiwik Hotels Shirdi you are assured of affordable luxury of international standards with unique Indian touch. Size : 160 Sq. 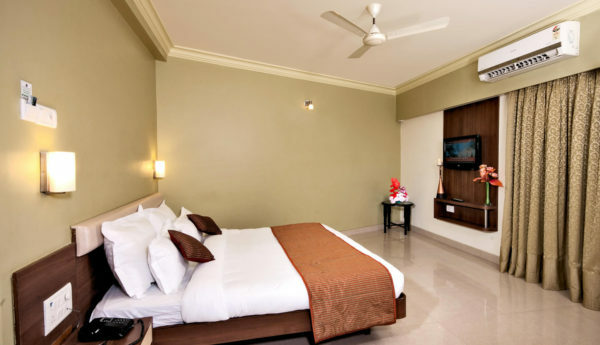 ft.
Elegantly designed and well furnished, the Standard room (approx 160 Sq. ft.) offers comfort and convenience that a pilgrim requires. Size : 200 Sq. 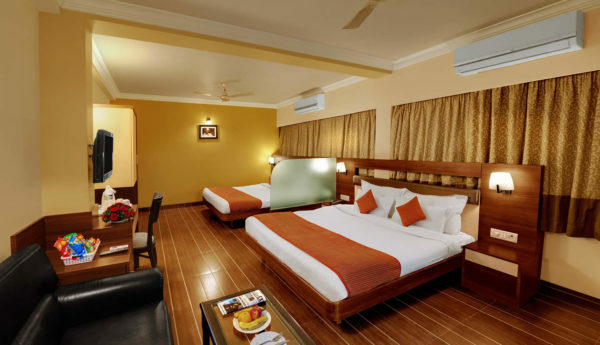 ft.
Elegantly designed, the Superior room (approx 200 Sq. ft.) offers comfort and convenience that the pilgrim requires. It can accommodate upto 3 pax. Size : 340 Sq. ft. 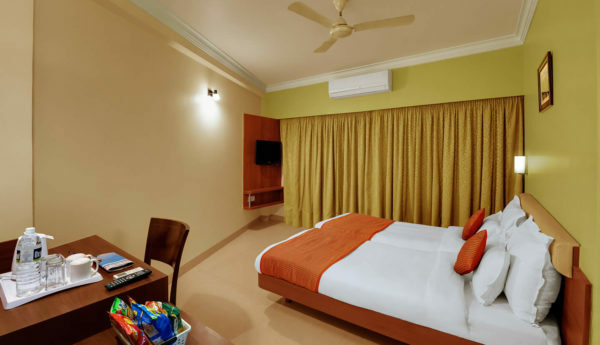 Ideal for families or friends travelling together, the Family Deluxe Room (340 Sq. ft.)can accommodate 4 pax easily. Size : 353 Sq. ft. The Junior Suite has a large bedroom with a drawing room (353 Sq. ft.). It is spacious and ideal for families.